Bu çalışmada, Minkowski-3 uzayında, Bertrand eğrilerin binormal hareketi ile meydana gelen, Razzaboni yüzeyi adı verilen yüzeyler incelenmiştir. Minkowski-3 uzayındaki bu yüzeylerin geometrik özelliklerini Bertrand geodeziklerin karakterine bağlı olarak tartıştık. Daha sonra, verilen bir Razzaboni yüzeyi için Razzaboni dönüşümünü tanımladık. Diğer bir deyişle, her durum için Razzaboni yüzeyinin bir duali olduğunu ispatladık. Son olarak, Razzaboni dönüşümlerinin; sabit eğrilikli Bertrand geodeziğe sahip yüzeyini; işareti ters olmak üzere aynı sabit eğrilikli Bertrand geodeziğe sahip yüzeyine dönüştürdüğünü gösterdik. In this paper, we investigate the surfaces generated by binormal motion of Bertrand curves, which is called Razzaboni surface, in Minkowski 3-space. We discussed the geometric properties of these surfaces in with respect to the character of Bertrand geodesics. Then, we define the Razzaboni transformation for a given Razzaboni surface. In other words, we prove that there exists a dual of Razzaboni surface for each case. Finally, we show that Razzaboni transformation maps the surface which has Bertrand geodesic with constant curvature, to the surface whose Bertrand geodesic also has constant curvature with opposite sign.
.	Eisenhart L.P., A Treatise on the Differential Geometry of Curves and Surfaces. Dover, New York (1960).
.	Lopez R. Differential Geometry of Curves and Surfaces in Lorentz-Minkowski Space, arXiv:0810.3351v1, (2008).
.	Razzaboni A., Delle superficie nelle quali un sistema di geodetiche sono curve del Bertrand. Bologna Mem., 10 (1903) 539-548.
.	Schief W.K., On the Integrability of Bertrand curves and Razzaboni surfaces, Journal of Geometry and Physics, 45 (2002) 130-150.
.	Fibbi C., Sulle superficie che contengono un sistema di geodetiche a torsione constante, Pisa Ann., 5 (1888) 79-164.
.	Razzaboni A., Delle superficie nelle quali un sistema di geodetiche sono curve del Bertrand. Bologna, Tipografia Gamberini e Parmeggiani (1998).
.	Rogers C. and Schief W.K., Backlund and Darboux Transformations, Geometry of Modern Applications in Soliton Theory, Cambridge University Press, (2002).
.	Schief W.K. and Rogers C., Binormal Motion of Curves of Constant Curvature and Torsion, Generation of Soliton Surfaces, Proc. R. Soc. Lond. A., 455 (1999) 3163-3188.
.	Gürbüz N., The Motion of Timelike Surfaces in Timelike Geodesic Coordinates, Int. Journal of Math. Analysis, 4 (2010) 349-356.
.	Ding Q.and Inoguchi J., Schrödinger flows, binormal motion for curves and second AKNS-hierarchies, Chaos Solitons and Fractals, 21 (2004) 669-677.
.	Inoguchi J., Biharmonic curves in Minkowski 3-space, International Journal of Mathematics and Mathematical Sciences, 21 (2003) 1365-1368.
.	Erdoğdu M. and Özdemir M., Geometry of Hasimoto Surfaces in Minkowski 3-space. Mathematical Physics, Analysis and Geometry, 17 (2014) 169-281.
.	Inoguchi J. Timelike surfaces of constant mean curvature in Minkowski 3-space, Tokyo Journal of Mathematics, 21 (1998) 141-152.
.	Özdemir M. and Ergin A.A., Parallel Frames of Non-Lightlike Curves. 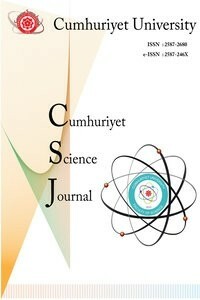 Missouri Journal of Mathematical Sciences, 20 (2008) 127-137.